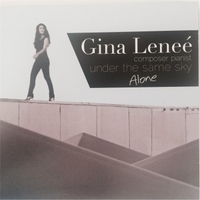 Gina Lenee' is a pianist with a gift for weaving emotional stories into her compositions. Born and raised in California, she began playing the piano by ear at age four. Her original songs are moving and deeply personal. Gina's role as a composer is more profound and fulfilling than her role as musician alone. Her concerts directly benefit causes and organizations that deserve a voice. "I hope my music inspires you to think about who and what matters most to you; your dreams, desires, passions. Born in different parts of the world, with different families, beliefs, dreams and abilities, we only look different on the outside. We're all under the same sky"